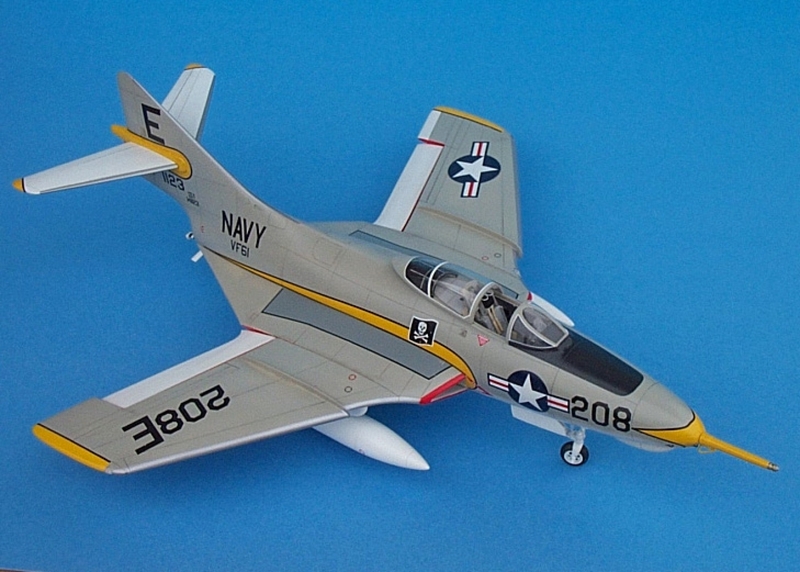 Our 1/32 scale Cougar is a highly accurate model of the swept-wing follow on to the Panther, and is designed to be equally as fun to build. 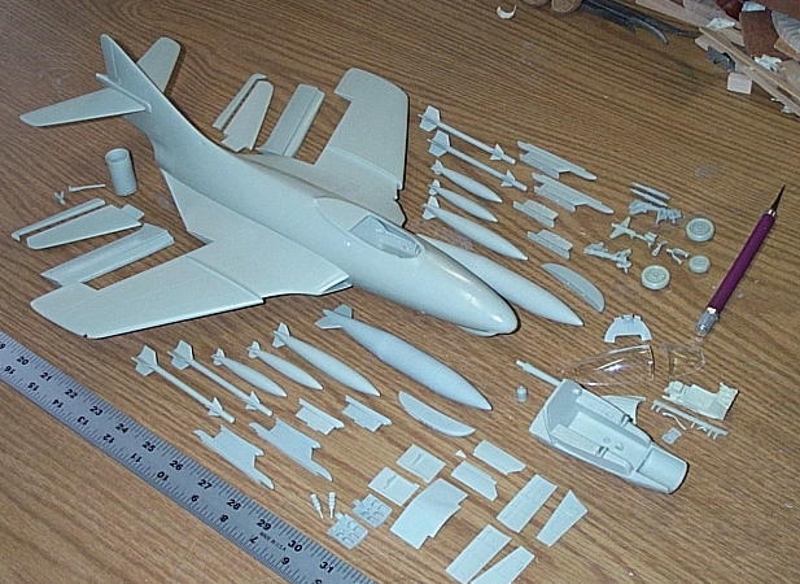 One piece hollow fuselage and one piece wings make assembly a breeze. 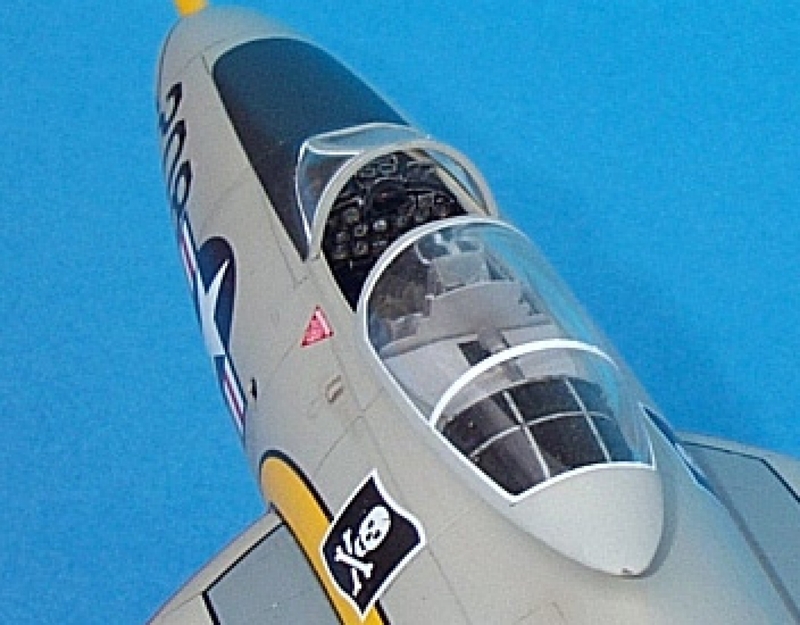 A finely detailed oockpit with Grumman type ejection seat and a complete set of external stores are included.The classic beauty of this early Jet Age Navy fighter is faithfully captured in the shape and stance of the model. 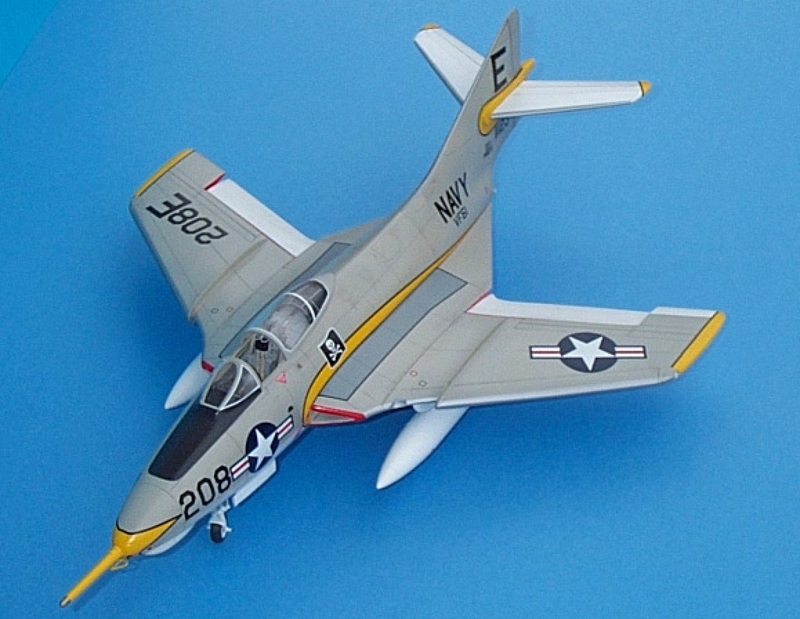 Decals are included (with stencils) for two VF-61 ships, one in glossy sea blue, the other in gull gray over white as well as a Blue Angels ship.The canopy and wndscreen are cast in clear resin for ease of use, the flaps and elevators are poseable. 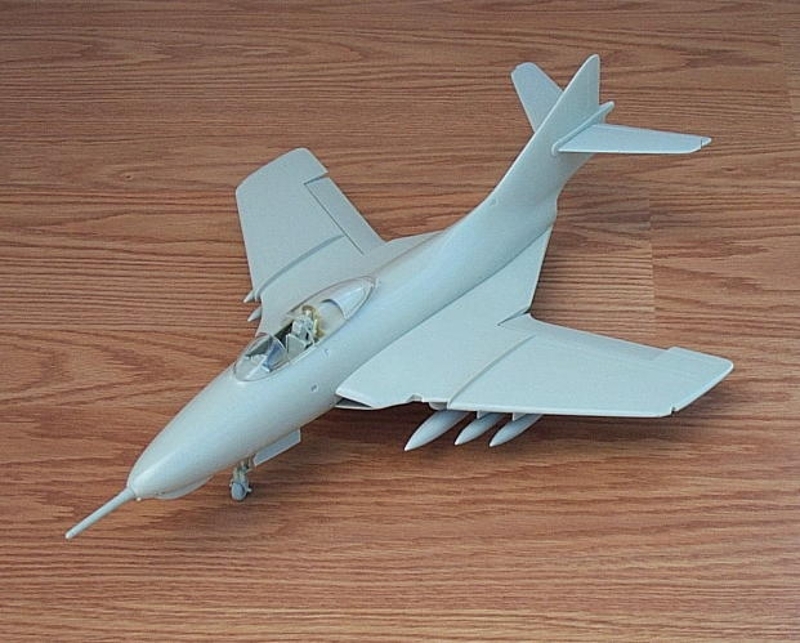 A colorful, enjoyable model for any fighter fancier.